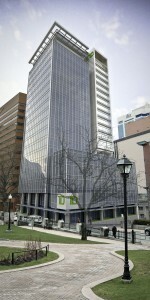 The downtown Halifax TD Centre’s renovation and expansion is a unique example of heritage and modern building renovation/redevelopment in a congested downtown area. 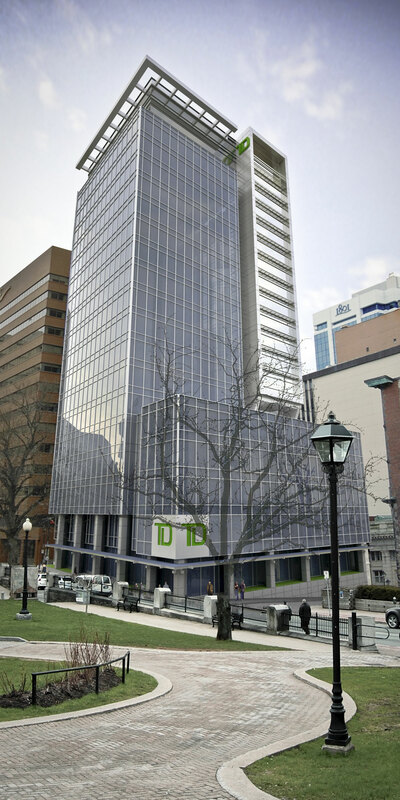 TD Centre owner TDB Halifax Holdings Ltd. has never disclosed the exact project cost, but a company representative says the budget is larger than the $25 million cost announced for the new Waterside Centre. The project, which has been designed to achieve LEED Gold (core and shell) certification, will double floor space from 100,000 to 200,000 sq. 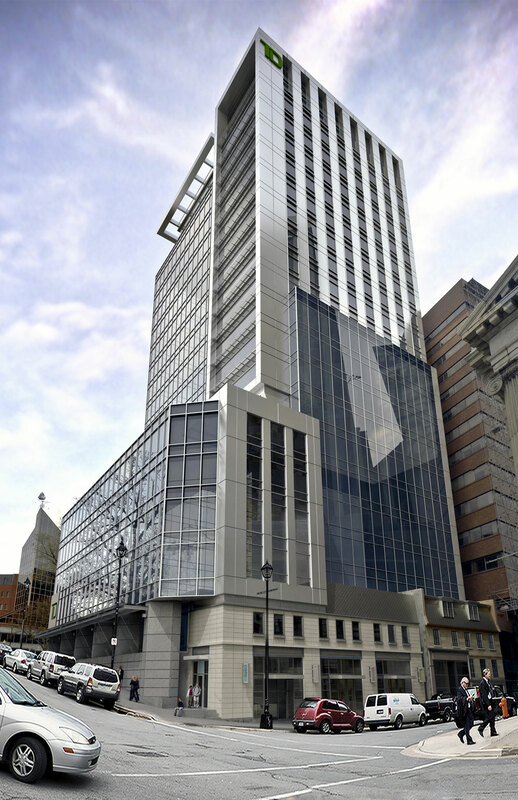 ft. “When complete, the TD Centre Halifax will be the largest and newest Class A smart building in Halfax,” the owner’s representative said. The project also incorporates a three-story addition to the 18-story office tower and incorporates an adjacent heritage facade. 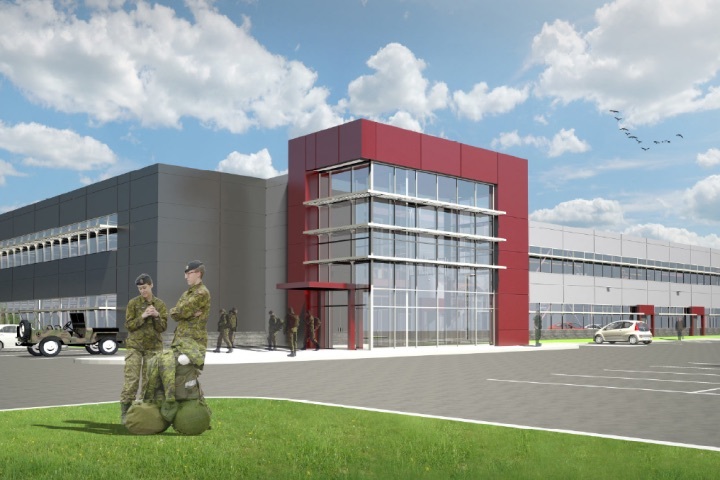 “We’re stripping back the original building to its concrete frame, adding new mechanical, electrical and communication systems, and creating a new and efficient envelope,” says Eugene Pieczonka, principal with Lydon Lynch Architects. Design team members tried to find relevant examples to understand how similar challenges were resolved, but in the end had to use their own ingenuity as nothing comparable could be found, Pieczonka said. He said construction manager EllisDon innovated with a strategy to take over a single lane along one of three streets facing the building for a delivery and staging area. This has reduced traffic problems, but also means everything must be delivered on a just-in-time schedule. He said TD, who are the prime tenant, along with and tenants, have been helpful, co-operative and understanding about the inconveniences during the renovation. The project incorporates three distinct architectural eras. This created a challenge – to design the project so that the new, old and older appear to be one. 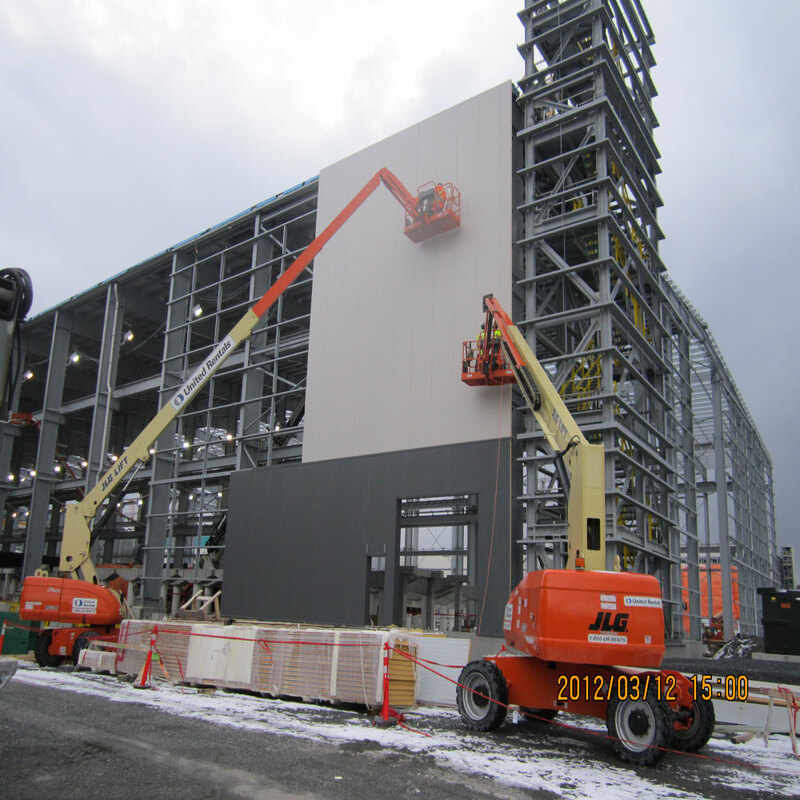 Local trades are working on the project, but the curtain-wall was brought in from Ontario due to the high degree of specialization and performance the design requires. Pieczonka says the much-larger building will consume no more energy than the current structure. It will also include a green roof and photo voltaic panels on the canopy and sun shades. He commended the owner for their approach to the project. “Within our firm we say great architecture is the result of great clients and that is certainly true here,” he said. 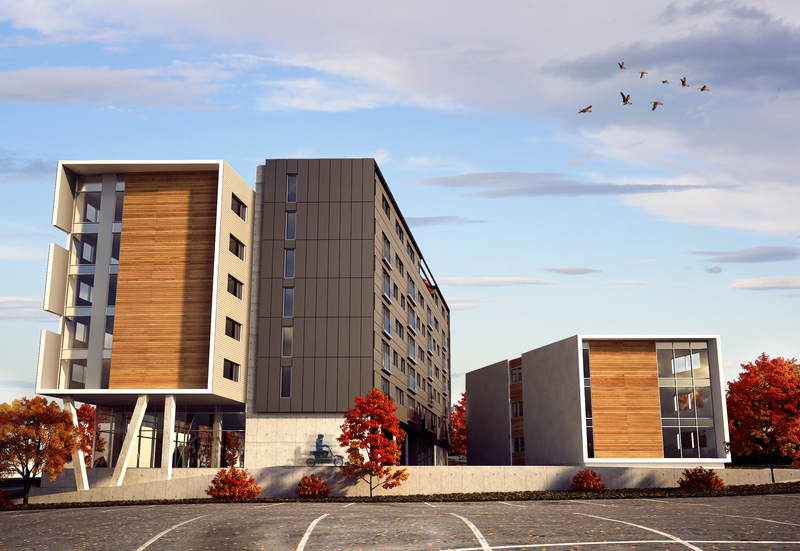 “They have been very supportive and as a result, we are creating a beautiful landmark for Halifax.” The project is expected to be completed in the fall of 2014.